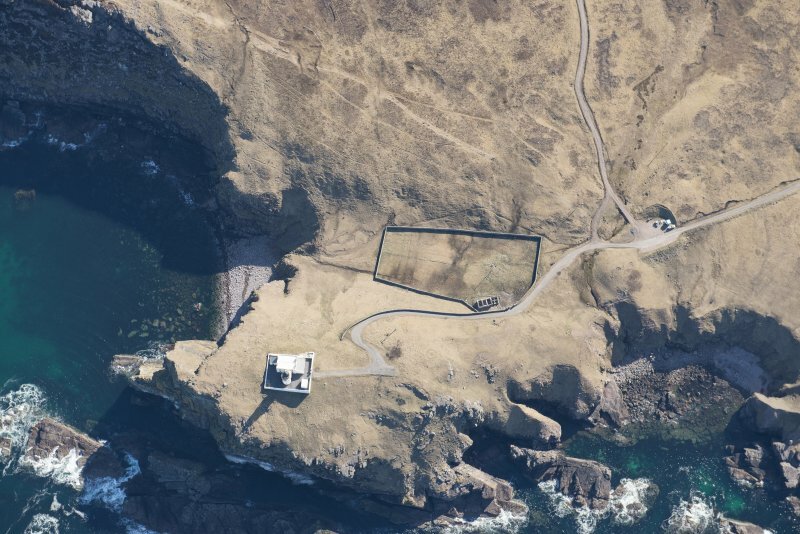 Oblique aerial view of Stoer Head Lighthouse, looking SE. 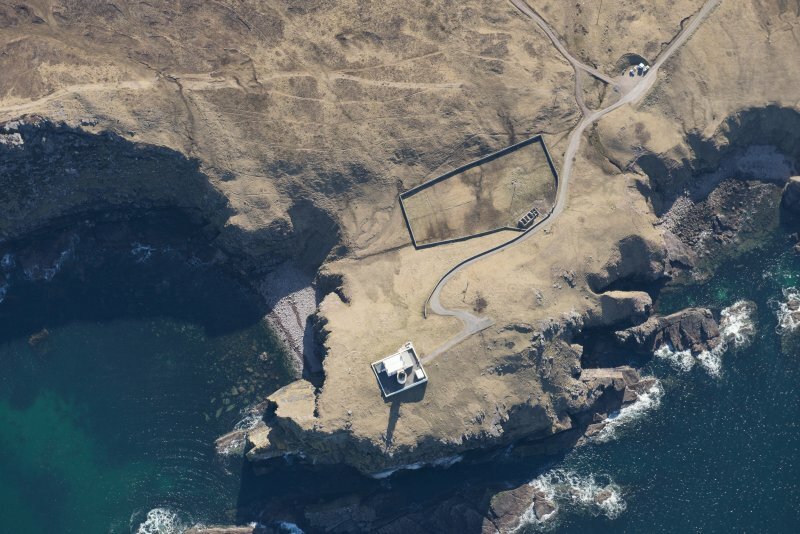 Oblique aerial view of the Stoer Head lighthouse, taken from the WSW. 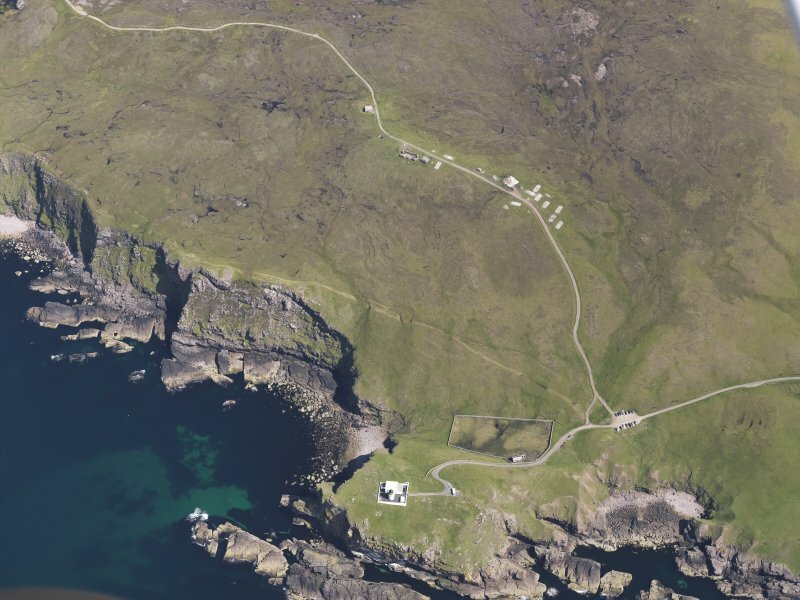 Oblique aerial view of the Stoer Head lighthouse, taken from the W.
(Location cited as NC 003 330). 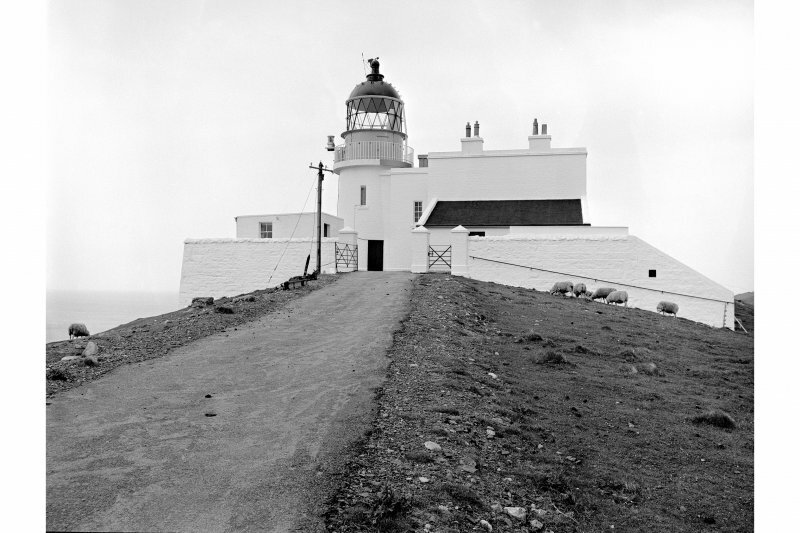 Stoer Head Lighthouse, built 1870, engineers D and T Stevenson. A short circular-section tower linked at two levels to a flat-roofed two-storey block of keepers' houses. 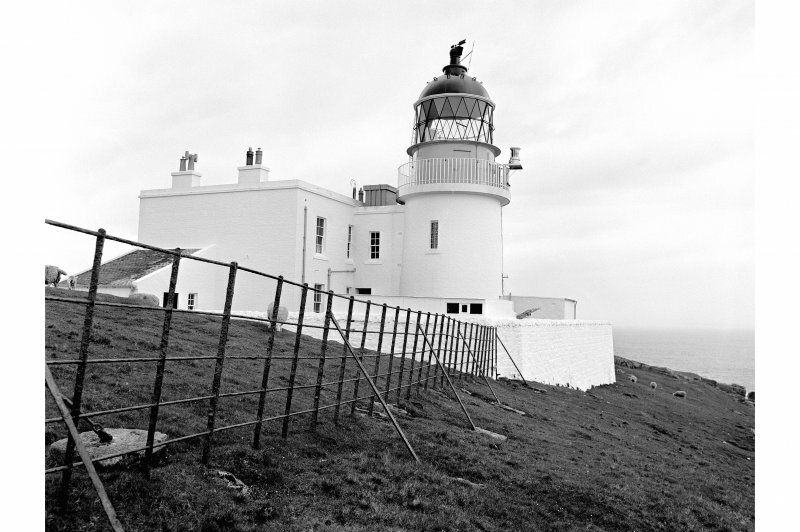 This shore lighthouse guards the E (mainland) side of the northern entrance into the Minch. 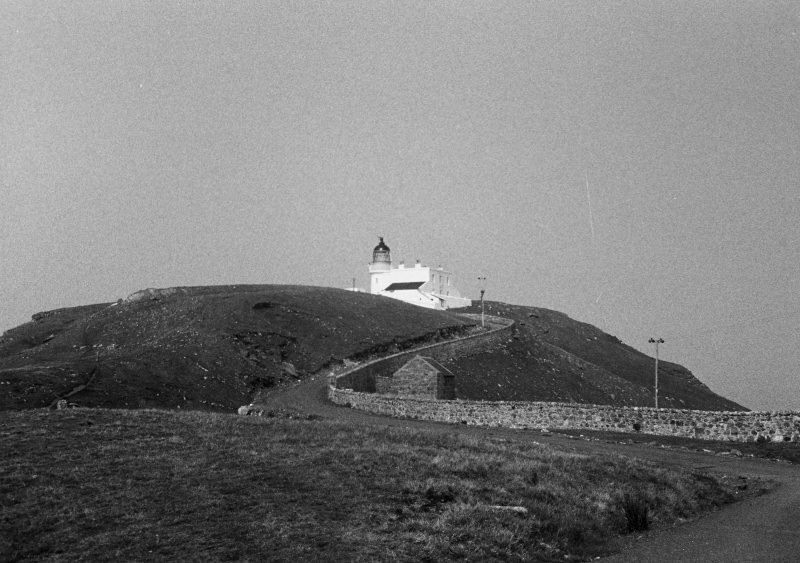 It was built by David and Thomas Stevenson in 1870, and became a major automatic light in 1978. The (former) keepers' house lie adjacent, and remain in short-term residential use. 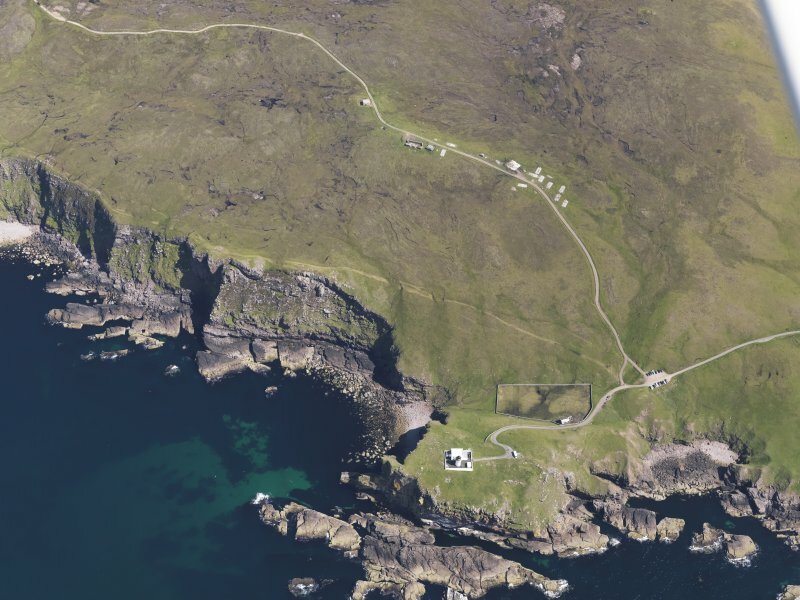 Stoer Head (Point of Stoer) is at NC 022 356. 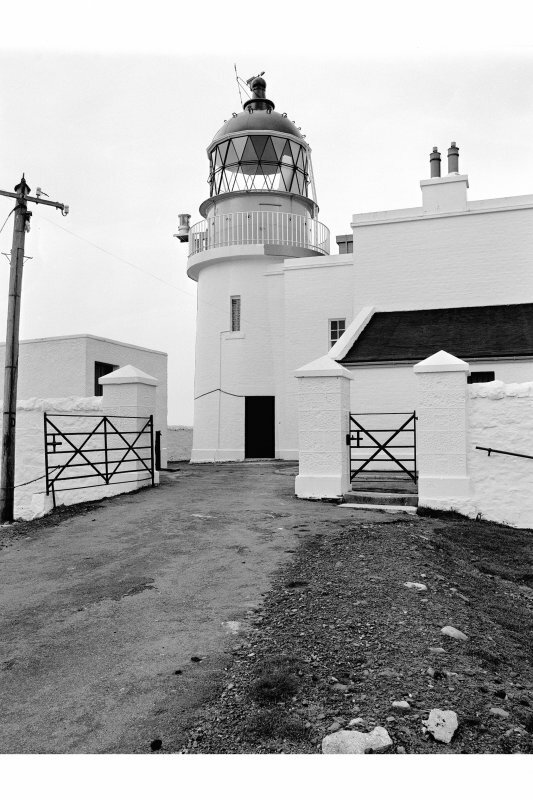 Information from RCAHMS (RJCM), 27 August 2008. R W Munro 1979; K Allardyce and E M Hood 1986; S Krauskopf 2001.